Budget home theater subwoofers, just like high-end home theater subwoofers, need to be able to deliver a rich and consistent level of bass. Thankfully, some low-cost home theater subwoofers can still produce quality sound in the same manner as slightly pricier models. Though they may accurately be called “cheap home theater subwoofers,” the connotation of “cheap” shouldn’t be perceived as a negative aspect, but as an advantage. 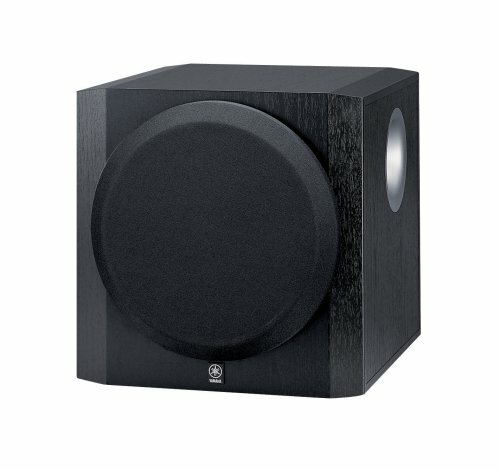 The following affordable home theater subwoofers are some of the most consistently well-reviewed models on Amazon.com. Theater Solutions’ down-firing powered subwoofer is a model built for efficient, low-frequency operation. Empowered by a cabinet amplifier, the subwoofer has an RMS wattage of 400 and a peak power output of 600 watts. The model features L/R input and output spring terminals, L/R RCA inputs, and an auto-shutoff feature as well. A 9’10” RCA cable and an RCA adapter are included. 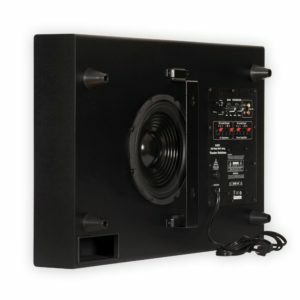 Theater Solution’s 8″ surround sound HD subwoofer, like the down-firing model, is built for high efficiency through low-frequency sound generation; this model, on the other hand, is a front-firing model. The subwoofer’s RMS is 100 watts, and the maximum output is 250 watts. This slimmer model shares the same spring terminals, RCA inputs, auto shut-off functionality, RCA cable and adapter as the bulkier SUB15DM model. 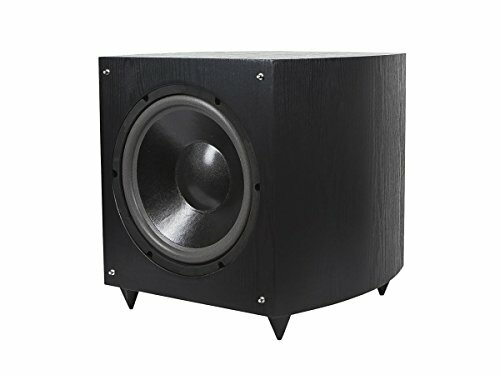 This Andrew Jones designed subwoofer features a 100 Watt internal amplifier and has an internal amplifier that keeps the bass steadily controlled at all volume levels. 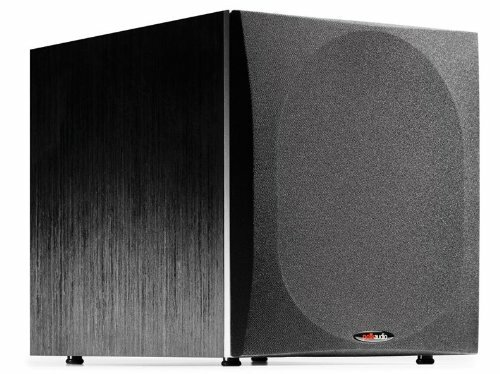 Thanks to the subwoofer’s sizable 8′ frame, it’s capable of producing bass at a lower frequency than what most are typically capable of. To seamlessly match in with your particular speaker setup, the subwoofer has both Crossover and Fade adjustments. 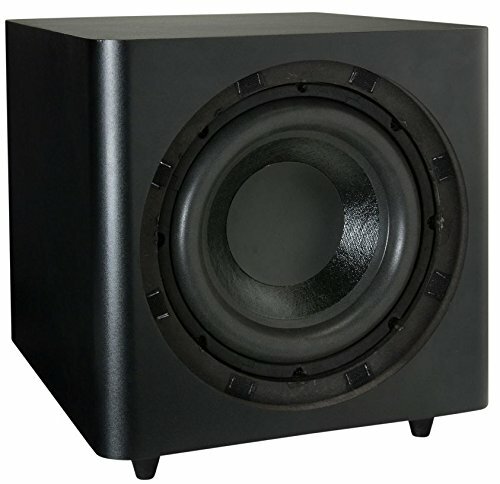 Monoprice’s 12″ subwoofer has an RMS of 150 watts and peak wattage of 200 watts. This high performance-powered subwoofer is designed to have a frequency response range between 50 and 250 Hz. 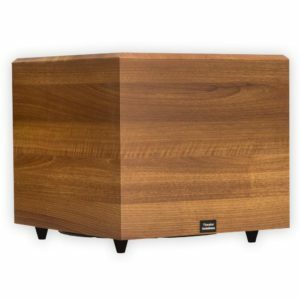 Polk Audo’s 12″ powered subwoofer is made with a wood veneer finish. To enhance the subwoofer’s bass response, the model features slot load venting. Turbulence and distortion are lowered through the slot load vent’s implementation. The strengthened bass and mitigated noise output create a loud, crisp and consistent sound output. 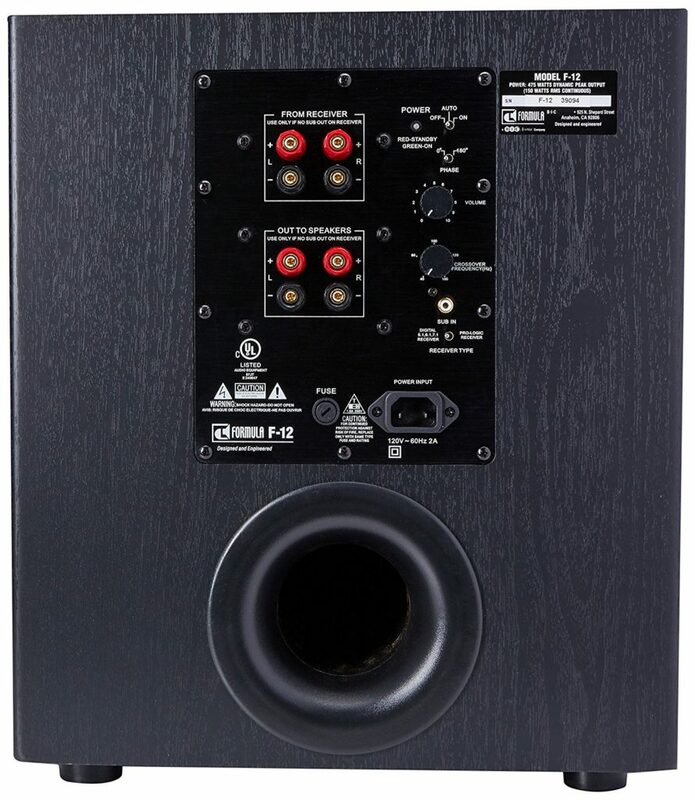 BIC America’s 12″ F12 powered subwoofer features a BASH designed amp. This subwoofer is an injection-molded long throw model. To mitigate the production of port noise, the subwoofer has Venturi ventilation. The subwoofer also features adjustable crossover, automatic signal sensing, and adjustable volume control as well. 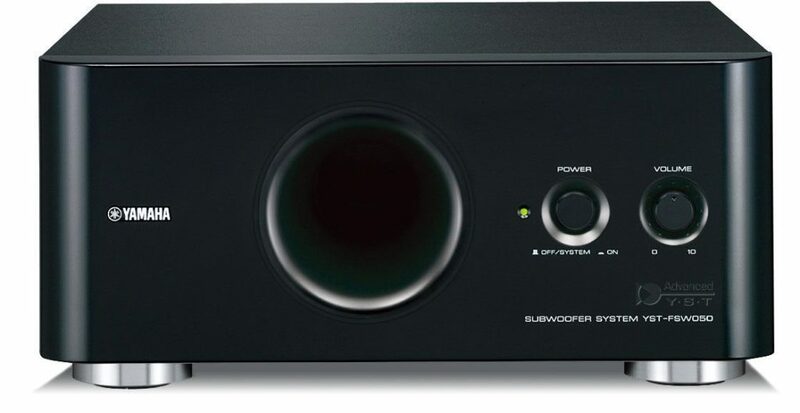 The subwoofer has inputs for both Dolby Digital/DTS and Dolby Pro Logic as well. Yamaha’s YST-SW216 front-firing subwoofer boasts 100 watts of dynamic power and a frequency response range of 25 to 180 Hz. The subwoofer has a selectable high-cut filter and a magnetically-shielded long-stroke cone driver. 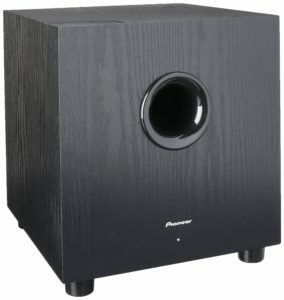 The subwoofer is also designed with a high-density MDF cabinet and a linear port made for reducing noise. 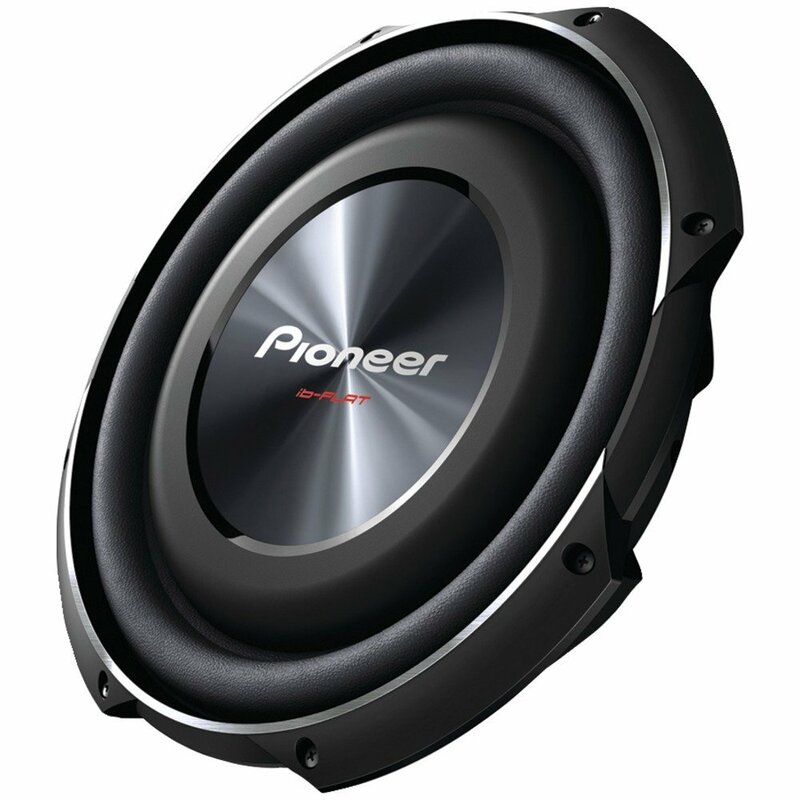 Pioneer’s shallow-mount subwoofer has been designed to produce a hard-hitting sound, and it delivers that auditory impact successfully. Because the frame of the subwoofer is so shallow, it is one of the easier models to find space for in just about any arrangement. The subwoofer’s RMS wattage is 400. Dayton Audio’s 10″ front-firing subwoofer is made with a downward-firing flared port, increasing both the strength and clarity of the bass. The subwoofer features an Auto-on mode as well. This particular model is well-suited for those who intend on using it relatively cozy arrangements, such as small home theaters. Yamaha’s YST-FSW050BL2 subwoofer is enhanced through the implementation of Advanced Yamaha Active Servo Technology II (YST). The frame has been specially built to be easily mounted on a rack. This down-firing subwoofer produces 100 watts of dynamic power when active, along with a helpful linear port that reduces unwanted noise. Home theaters need high quality subwoofers to do the sound of your music justice, and that level of quality is very possible to attain with low funds. 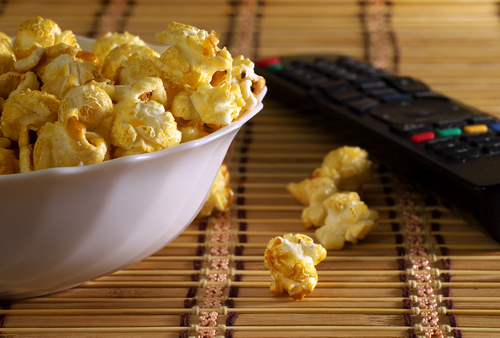 Economically-priced home theater systems can rival even the more deluxe setups. Instead of relying on price alone, the best subwoofers for home theater systems should be determined by the sum of their parts. The above subwoofers for home theaters are a testament to what can be found with just a bit of smart online shopping. When you’re looking for budget home theater subwoofers, consider the products above as the quality standard for your final choice.